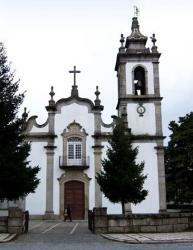 Portugal has had three concordats in the 21st century. The dictator Salazar initiated the right-wing government that controlled Portugal from 1932 until 1974. He concluded two concordats, one for mainland Portugal and a missionary accord for the Portuguese colonies. Both of these 1940 concordats were amended in 1975 after the overthrow of the authoritarian regime. Finally, the 2001 Law on Religious Freedom necessitated a new concordat which was concluded in 2004.